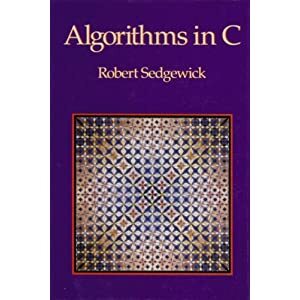 This book provides a comprehensive collection of algorithms implemented in C programming language. A variety of algorithms are described in each of the following areas: sorting, searching, string-processing, and geometric, graph, and mathematical algorithms. These algorithms are expressed in terms of concise implementations in C, so that readers can both appreciate their fundamental properties and test them on real applications. The treatment of analysis of algorithms is carefully developed. When appropriate, analytic results are discussed to illustrate why certain algorithms are preferred, and in some cases, the relationship of the practical algorithms being discussed to purely theoretical results is also described. Hundreds of detailed, innovative figures clearly demonstrate how important algorithms work. Throughout the book, “properties” sections encapsulate specific information on the performance characteristics of algorithms. Six chapters present fundamental concepts, including a brief introduction to data structures. Algorithms in C provide readers with the tools to confidently implement, run, and debug useful algorithms. This book may be useful for self-study, or as a reference for people engaged in the development of computer systems for applications programs.